Do your kids want to put their shoes on by themselves but always get them on the wrong foot? My friend, Courtney, showed me a tricky way to get the right shoe on the right foot. Put your child’s shoes together on a counter. 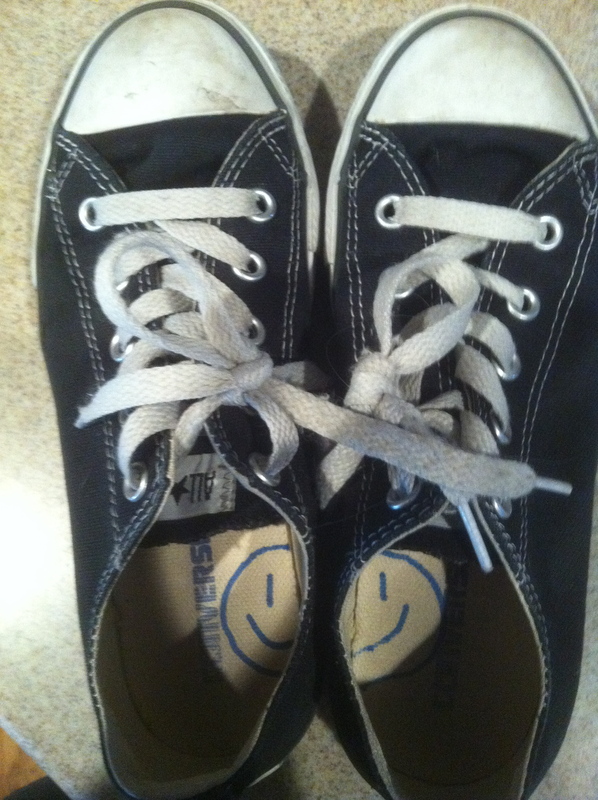 Use a Sharpie marker and draw the left side of a smiley face on the inside of the left shoe. Then draw the right side of the smiley face on the inside of the right shoe. Now when your kids get ready to put their shoes on, have them match the smiley face and they will know which shoe goes on which foot.